This is the perfect time to take on an ambitious kitchen project, like making your own beard-and-butter pickles. Researchers at Northwestern University are stumped. In an effort to effortlessly match up compatible students, they devised a questionnaire looking at more than 100 traits that research says are important in a match — including goals, political persuasion, values, creativity and assertiveness: 350 students filled it out. An algorithm based on their answers was used to predict who would be attracted to who, information the researchers kept to themselves while students participated in 4-minute speed dates. Men could use a little help with their health: According to the Centers for Disease Control and Prevention, more than a third of American adult males are obese, nearly that many have high blood pressure, and more than half don’t meet daily activity guidelines. So the staff at Medical News Today selected 10 worthwhile blogs for men interested in taking charge of their health. Among the top are the well-known Men’s Health blog and some lesser-known offerings, including Bony to Beastly, a blog for guys trying to build muscle and gain weight, and the Turek Clinics' blog for information on reproductive health and research. With outdoor air unsafe to breathe, this is the perfect time to take on an ambitious kitchen project. And what better way to preserve some of that distantly remembered summer sunshine than in a jar of crunchy pickles? 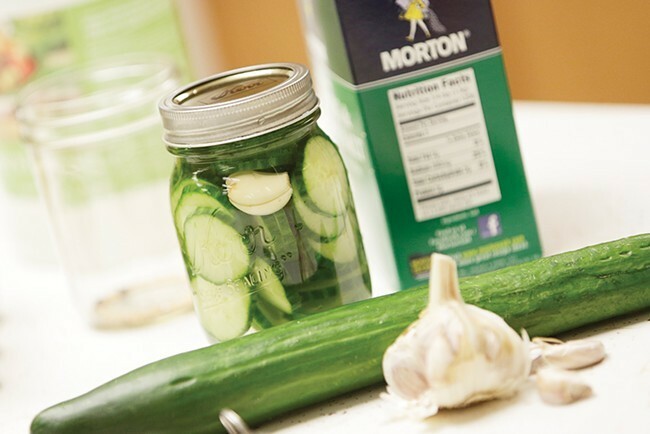 If you’re a little nervous about trying, due to fears of inflicting deadly food poisoning on your family and friends, read about how to safely and efficiently create your own bread-and-butter pickles in the current issue of InHealth.